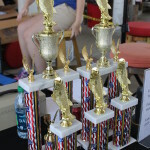 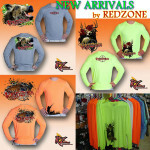 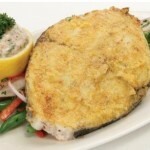 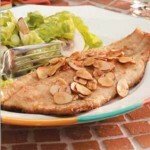 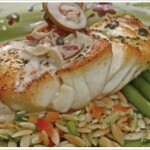 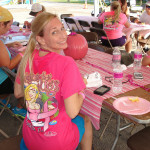 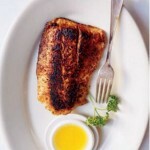 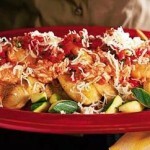 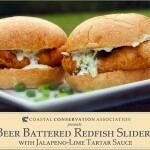 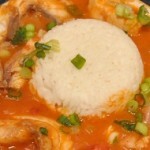 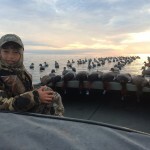 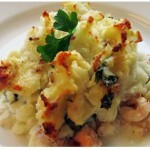 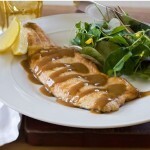 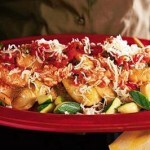 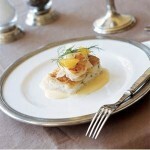 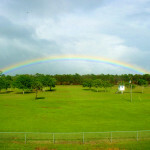 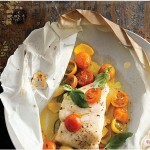 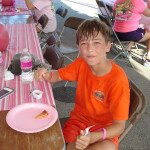 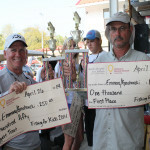 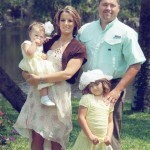 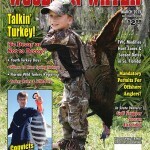 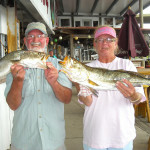 For a chance to be featured in our daily newsletter! 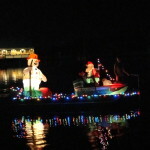 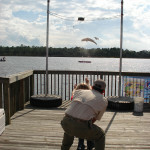 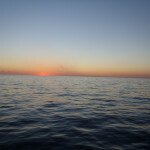 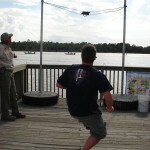 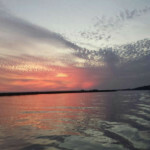 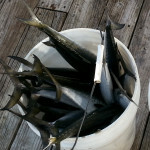 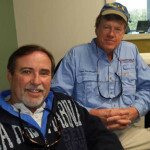 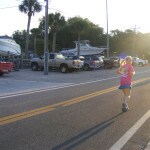 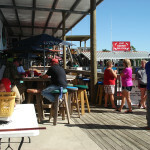 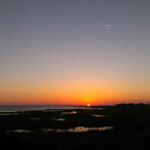 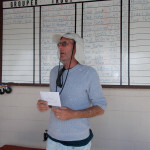 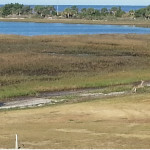 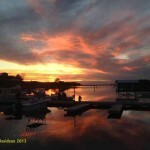 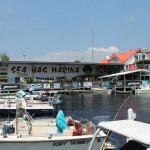 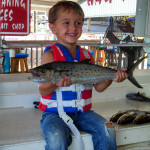 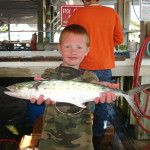 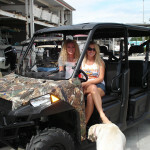 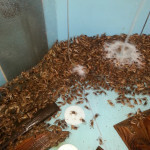 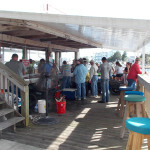 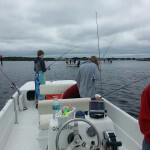 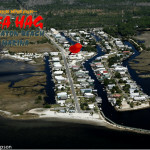 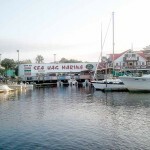 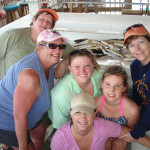 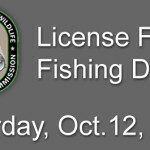 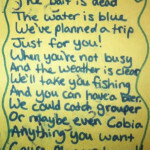 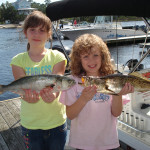 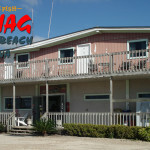 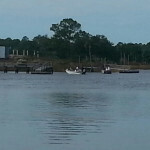 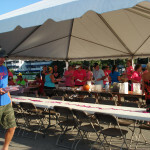 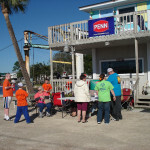 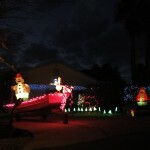 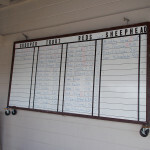 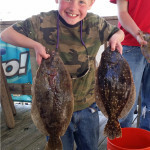 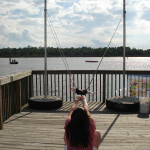 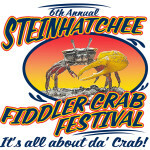 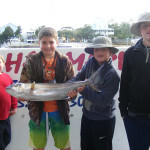 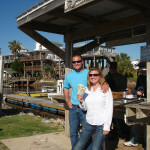 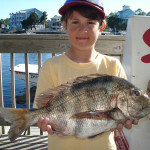 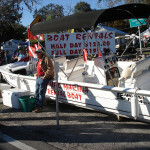 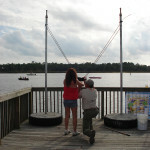 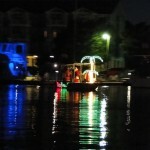 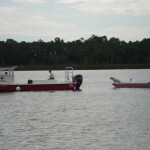 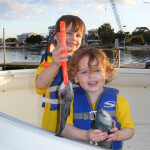 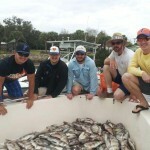 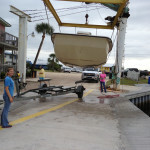 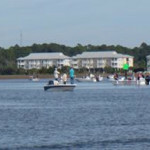 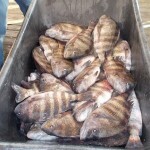 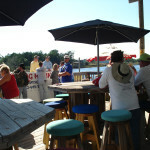 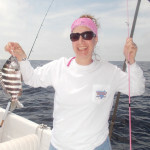 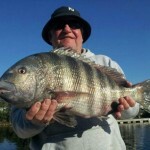 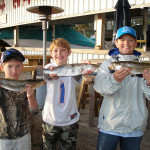 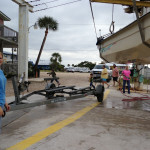 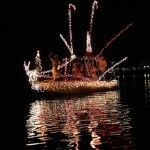 Did you use one of our rental boats or shacks? 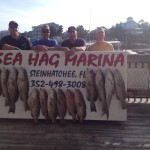 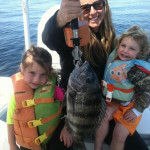 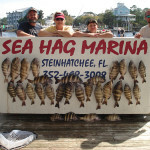 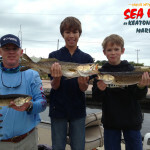 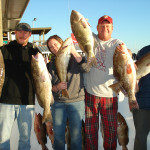 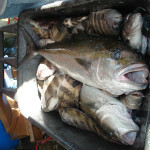 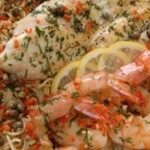 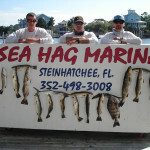 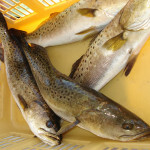 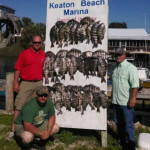 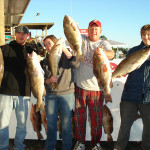 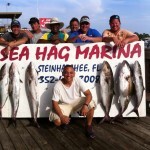 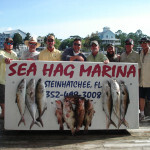 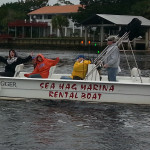 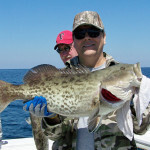 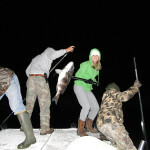 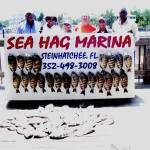 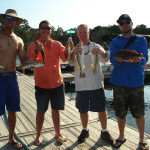 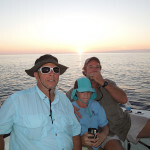 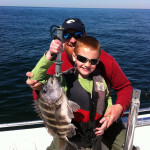 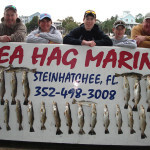 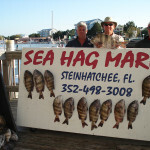 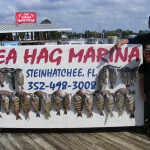 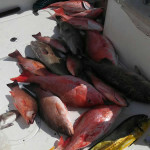 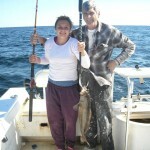 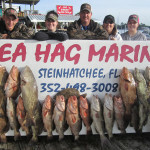 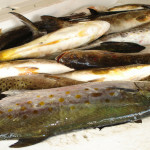 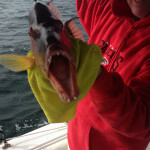 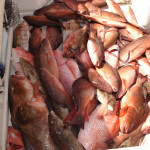 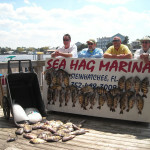 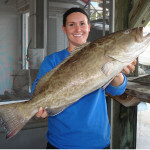 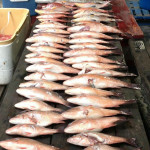 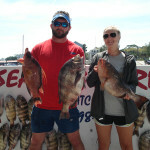 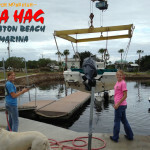 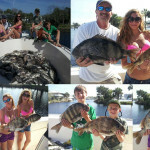 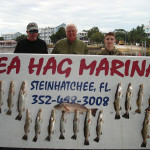 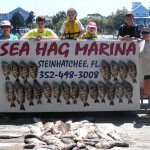 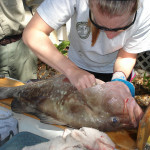 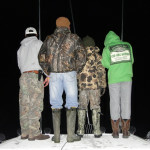 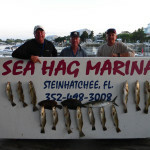 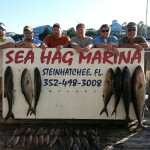 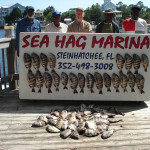 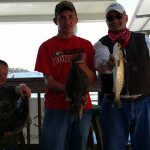 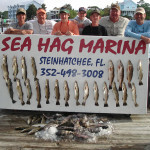 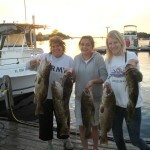 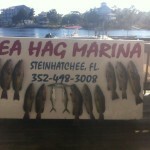 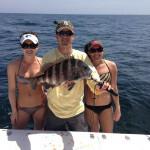 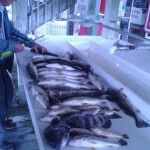 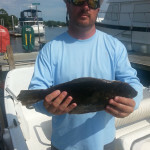 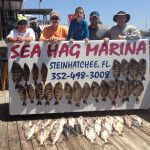 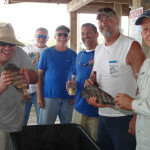 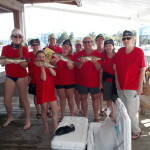 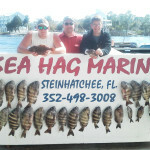 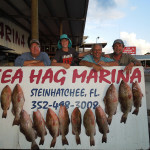 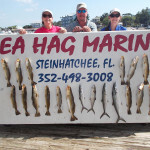 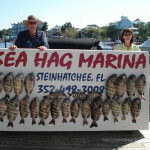 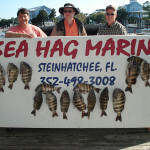 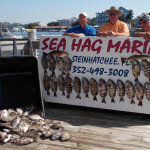 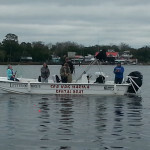 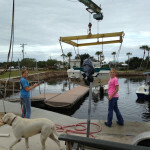 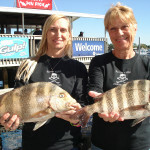 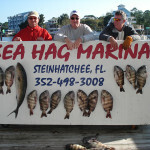 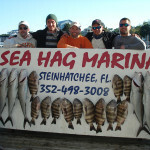 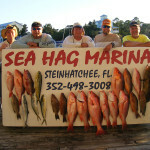 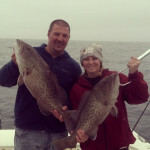 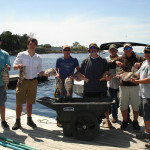 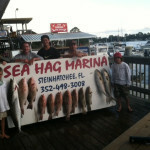 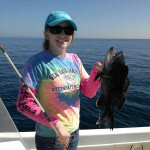 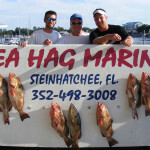 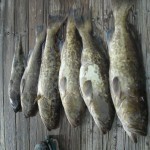 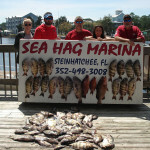 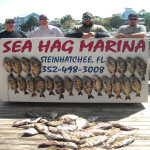 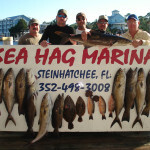 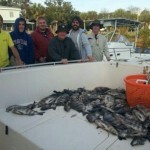 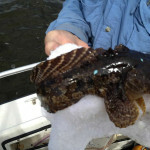 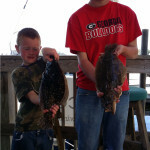 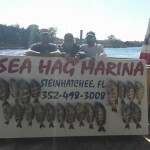 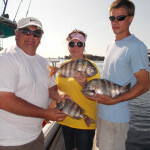 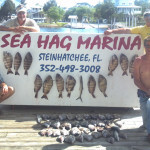 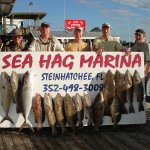 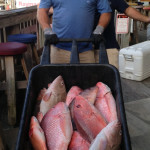 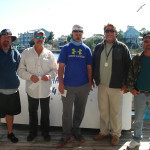 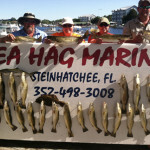 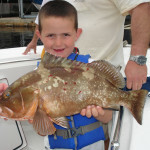 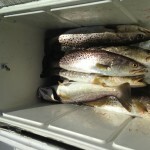 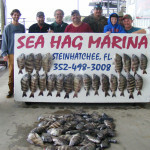 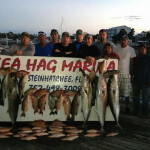 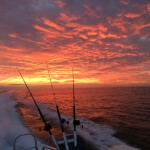 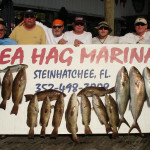 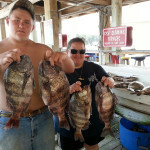 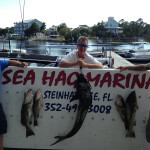 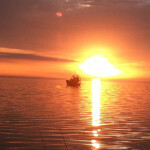 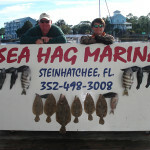 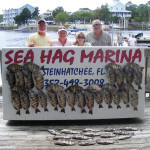 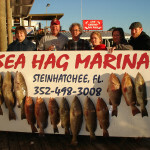 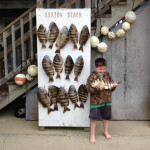 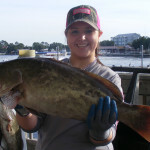 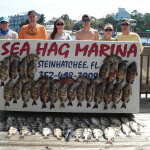 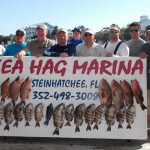 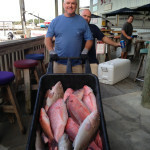 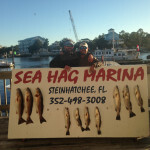 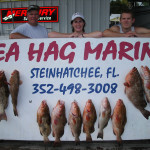 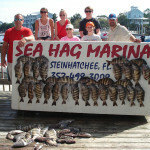 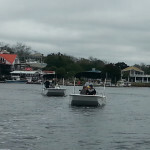 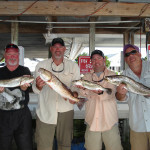 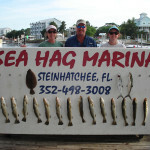 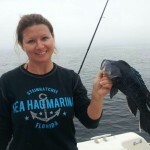 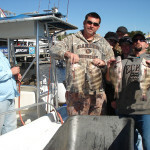 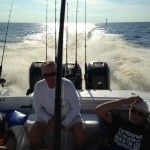 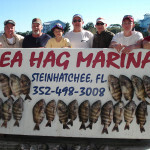 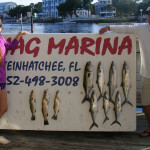 Casey, Danielle, Robbie, Shannon and Katilan Bailey loaded up with gag grouper on the last day of the season. 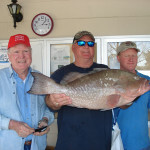 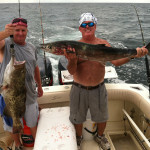 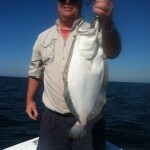 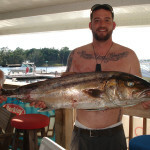 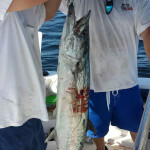 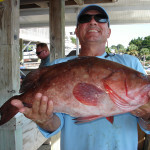 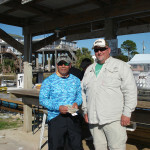 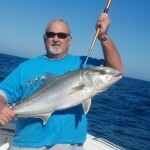 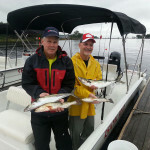 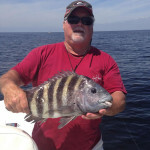 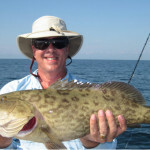 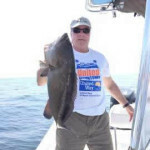 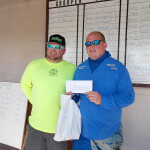 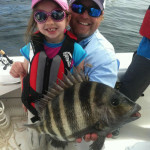 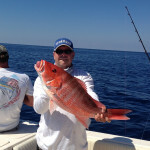 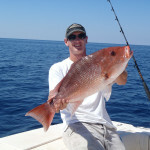 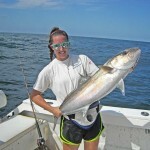 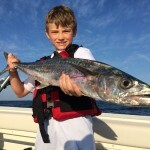 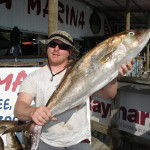 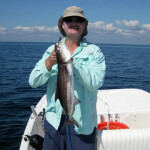 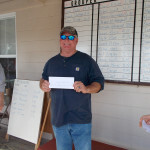 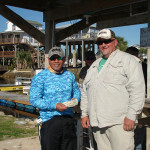 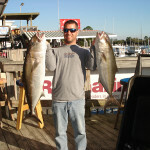 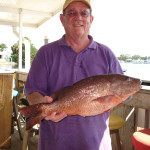 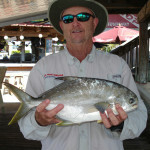 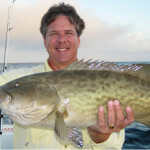 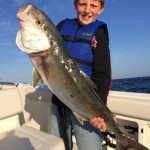 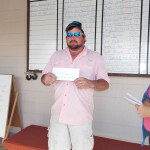 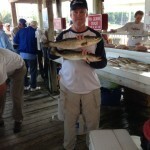 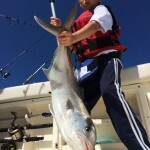 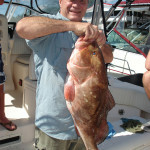 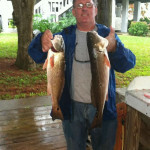 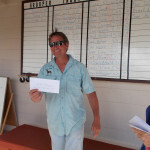 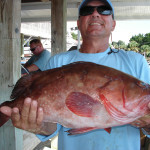 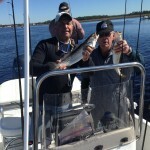 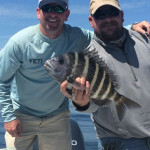 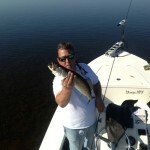 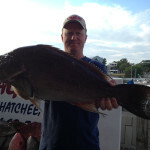 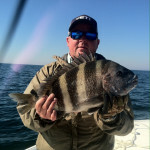 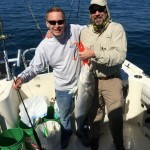 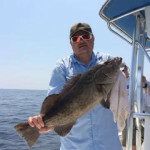 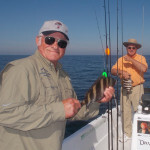 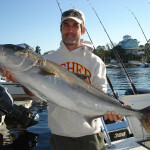 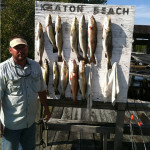 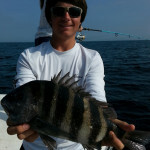 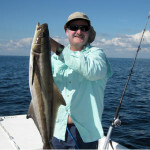 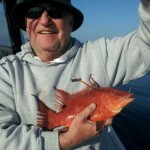 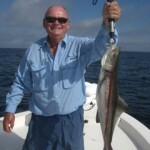 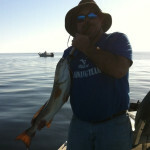 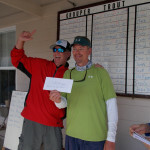 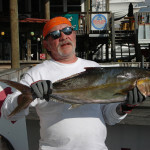 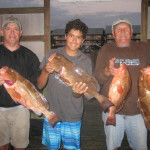 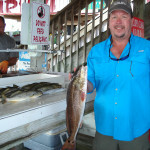 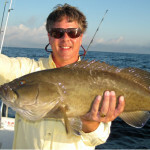 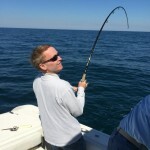 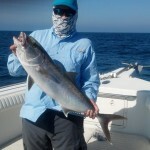 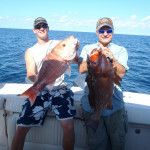 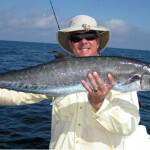 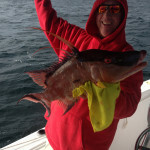 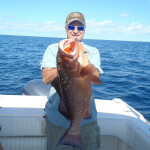 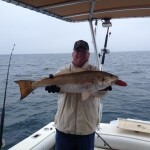 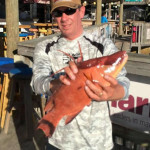 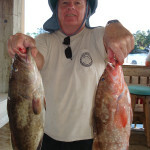 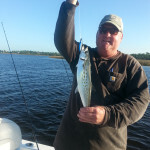 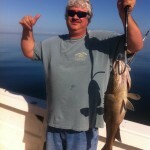 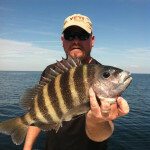 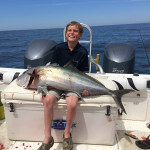 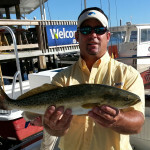 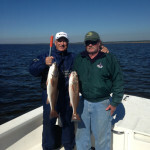 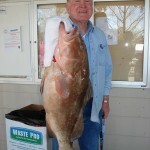 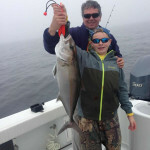 Dale Shelton with a fine keeper amberjack. 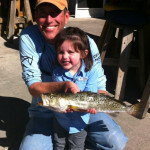 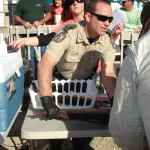 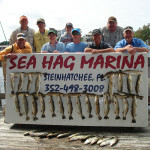 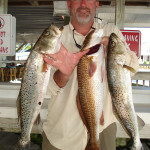 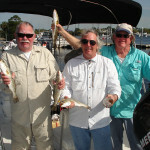 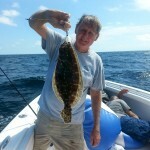 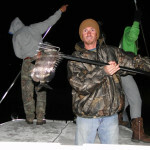 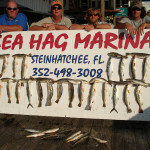 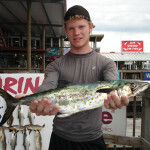 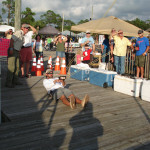 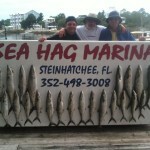 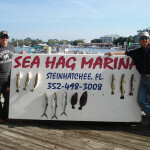 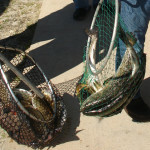 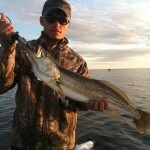 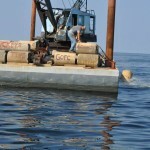 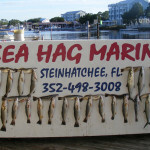 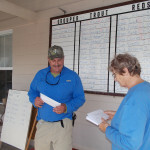 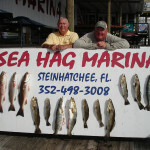 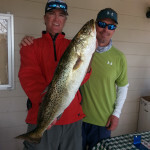 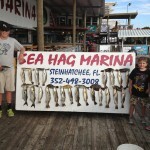 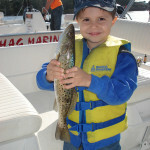 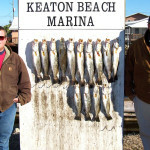 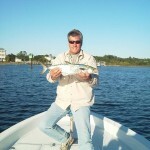 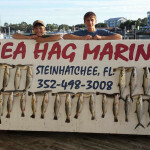 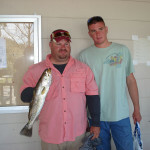 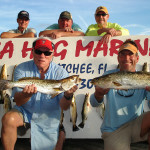 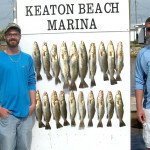 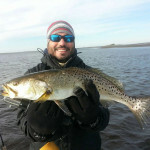 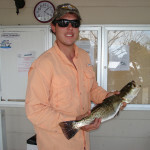 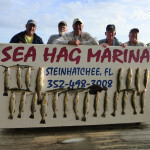 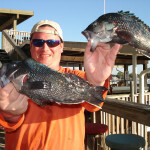 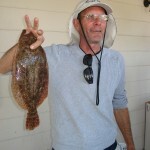 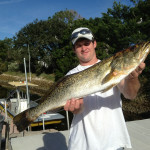 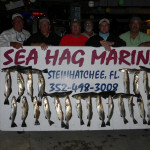 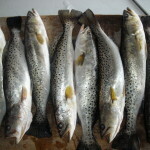 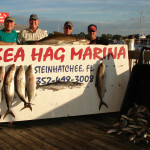 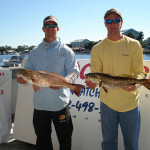 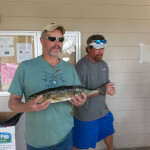 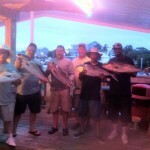 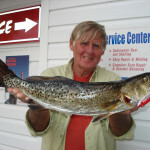 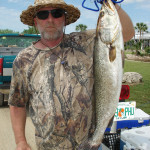 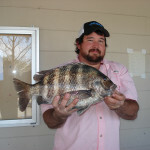 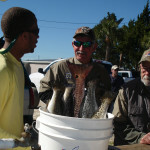 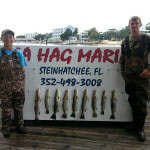 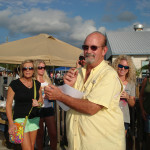 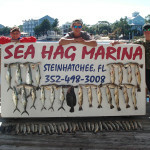 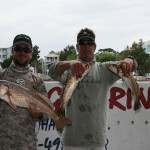 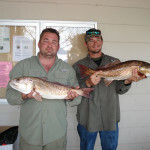 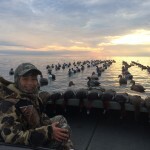 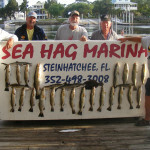 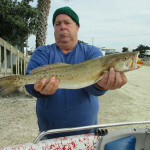 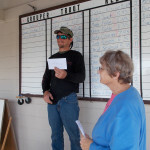 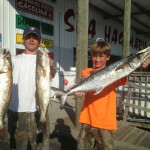 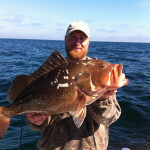 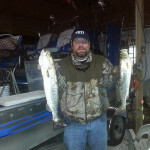 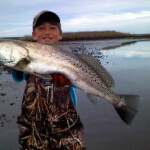 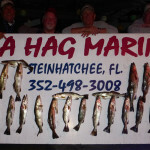 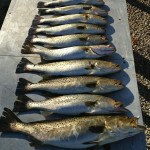 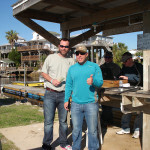 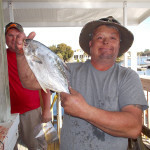 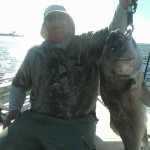 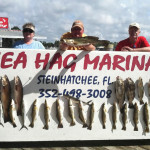 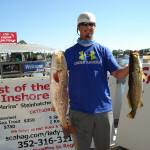 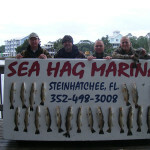 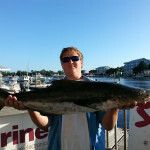 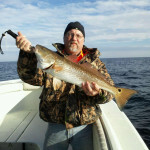 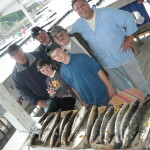 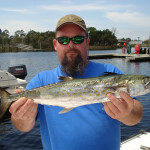 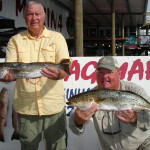 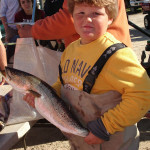 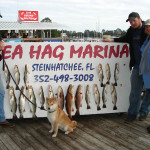 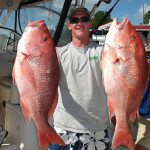 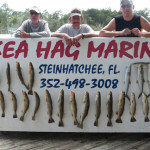 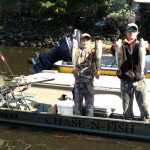 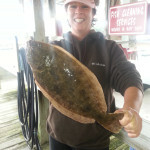 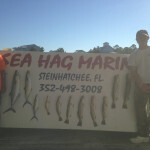 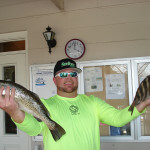 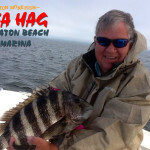 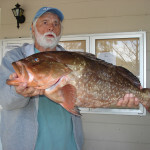 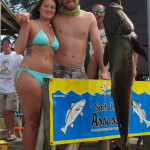 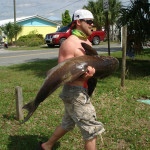 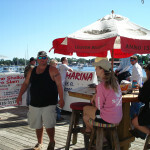 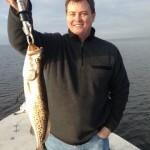 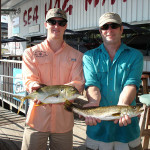 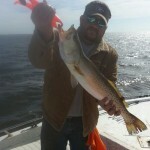 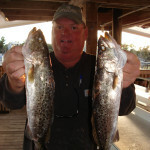 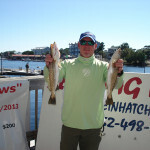 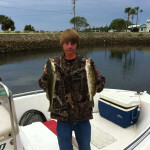 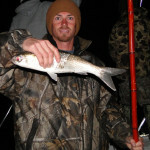 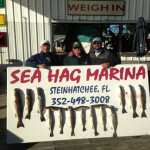 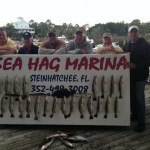 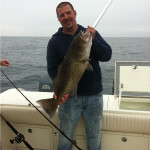 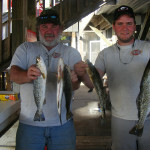 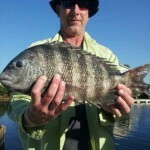 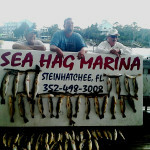 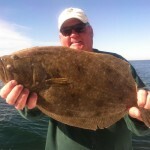 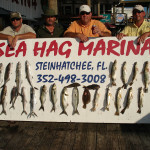 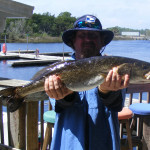 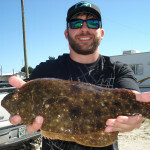 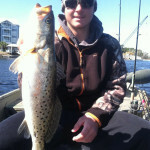 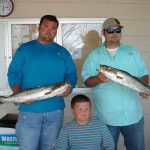 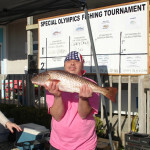 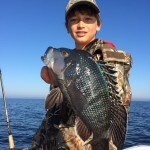 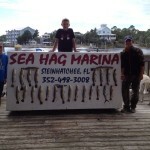 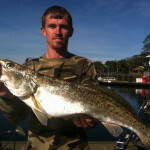 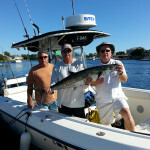 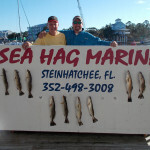 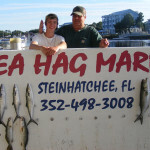 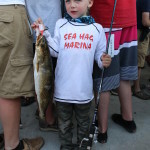 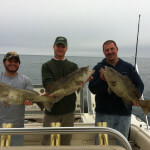 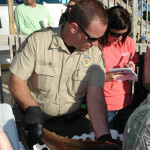 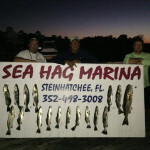 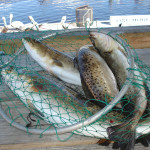 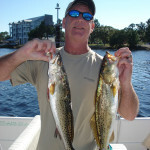 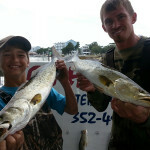 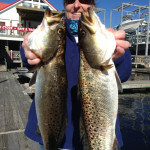 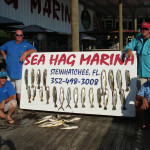 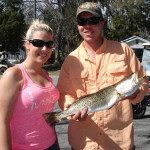 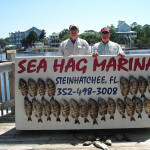 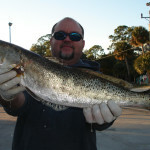 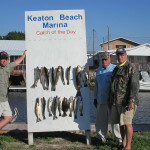 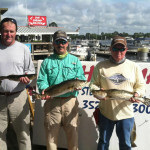 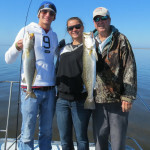 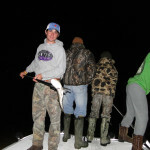 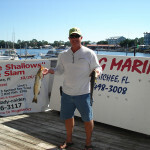 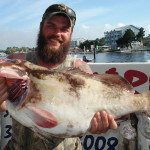 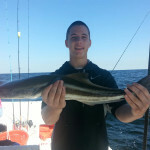 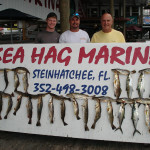 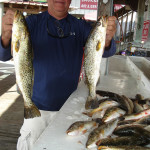 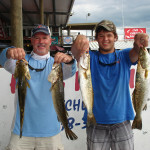 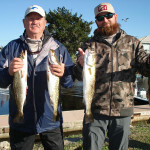 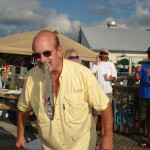 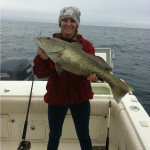 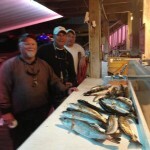 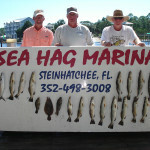 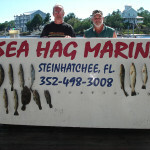 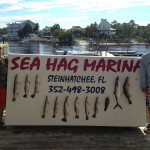 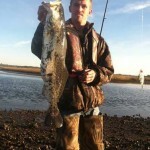 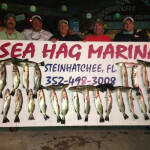 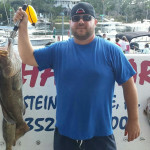 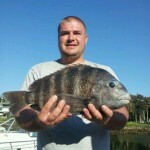 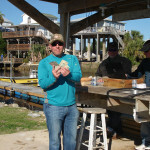 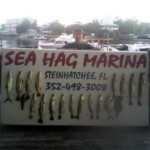 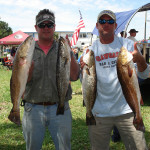 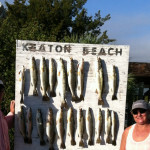 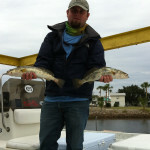 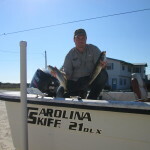 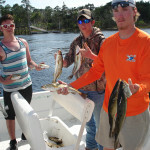 Derek Snyder, Sea Hag foreman, with a giant trout caught while wading an oyster bar. 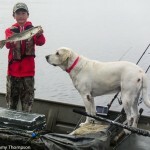 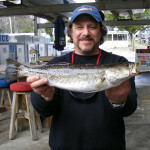 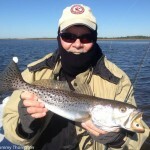 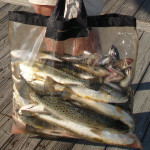 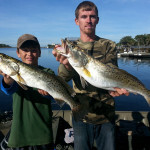 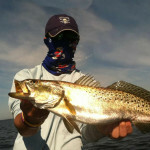 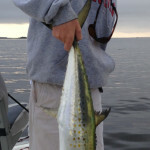 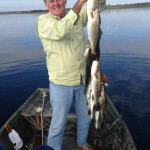 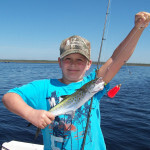 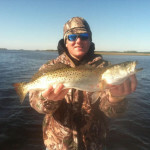 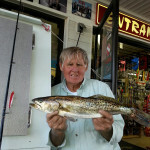 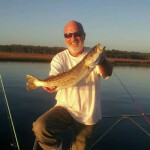 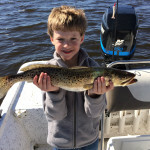 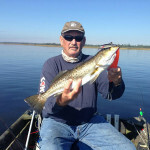 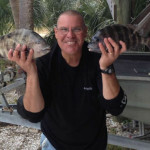 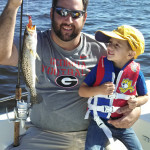 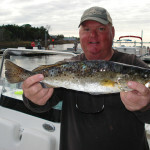 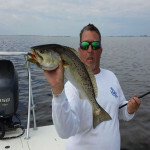 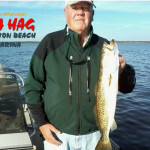 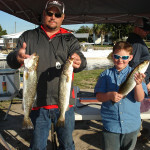 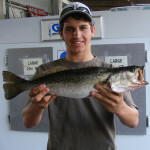 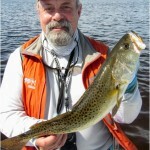 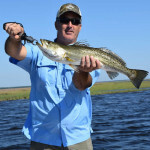 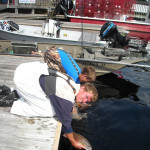 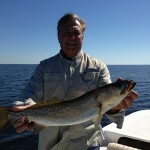 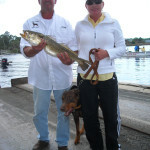 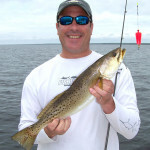 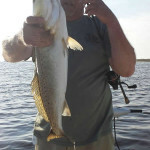 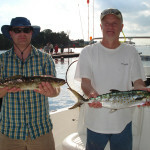 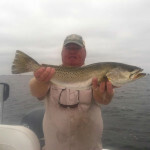 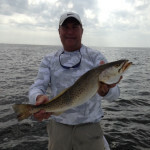 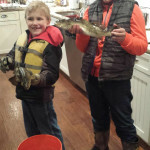 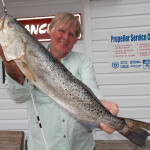 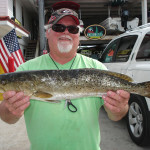 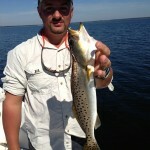 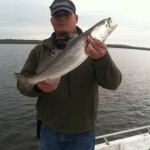 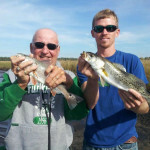 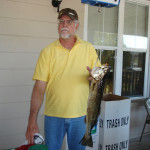 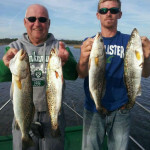 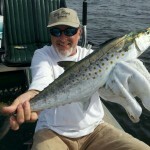 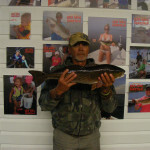 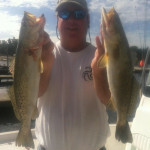 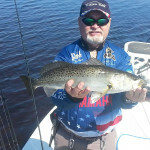 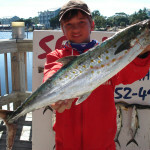 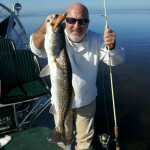 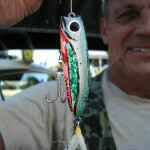 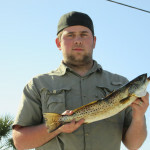 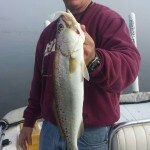 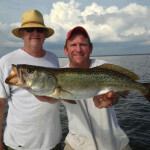 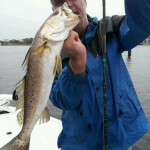 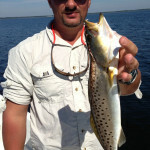 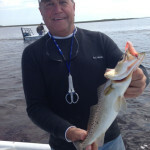 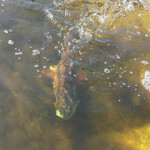 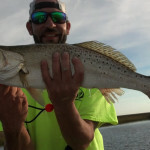 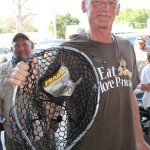 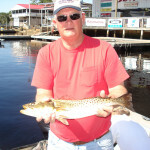 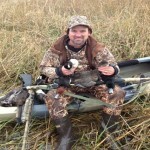 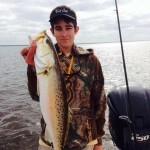 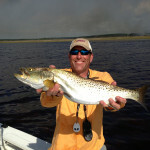 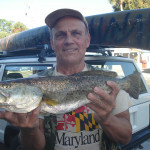 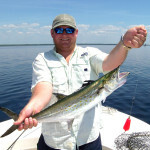 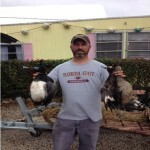 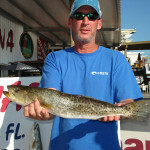 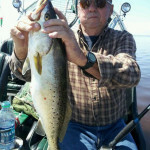 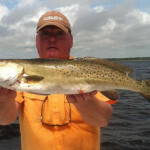 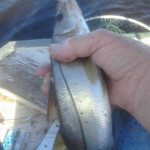 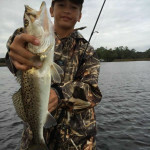 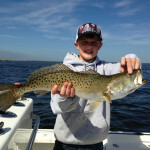 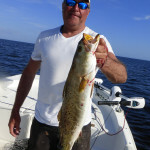 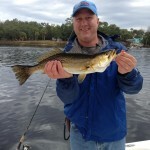 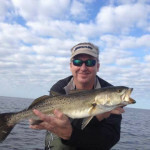 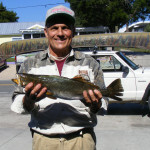 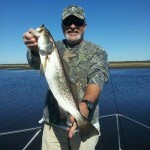 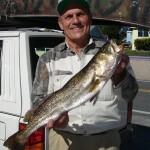 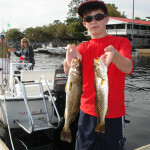 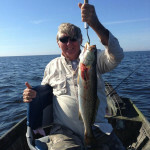 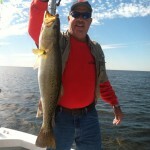 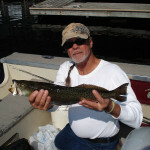 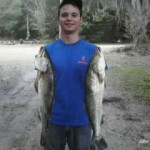 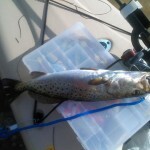 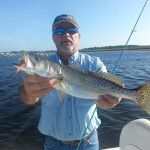 John Feranchuk with a gator trout caught on a homemade chugger lure. 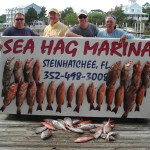 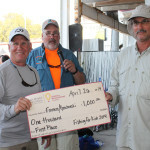 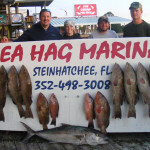 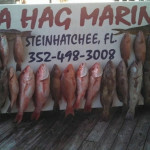 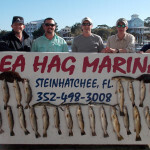 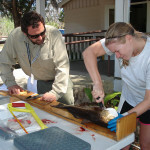 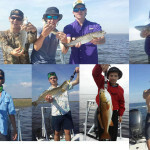 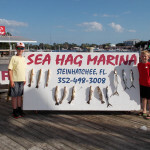 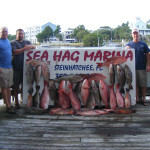 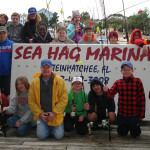 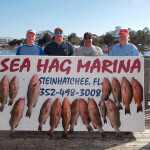 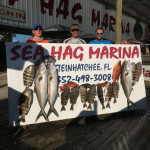 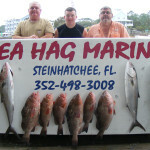 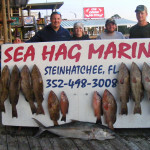 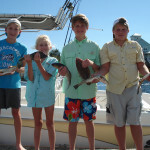 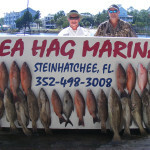 Also from the beginning of the month, Jeremy King, Anna Patterson, Thane Markham and Kelby Sanchez with gag and red grouper, mangrove snapper and an amberjack. 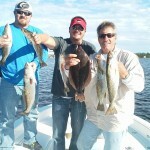 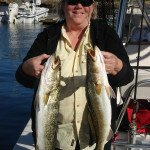 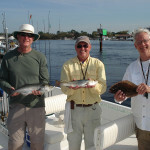 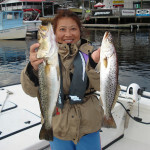 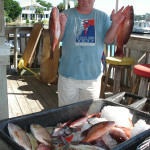 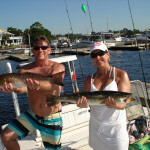 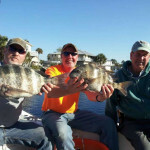 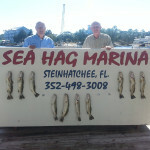 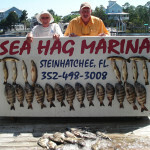 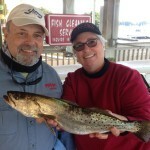 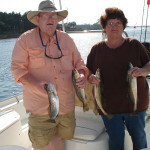 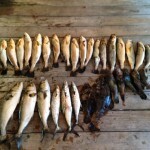 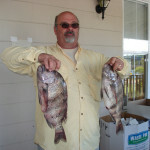 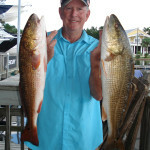 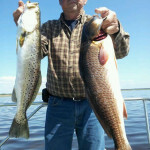 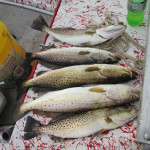 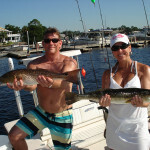 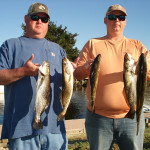 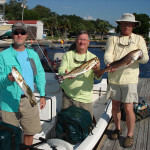 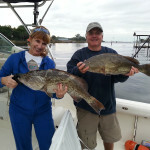 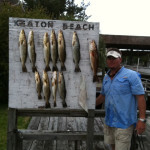 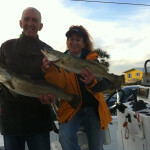 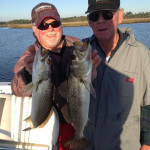 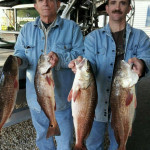 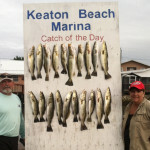 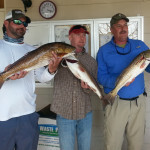 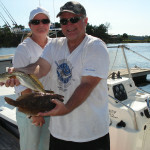 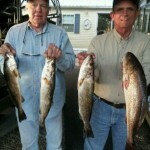 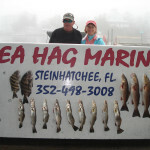 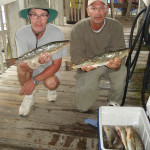 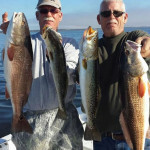 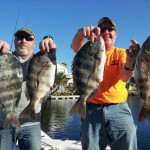 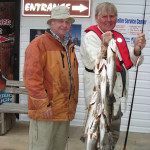 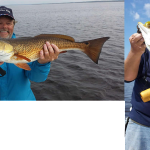 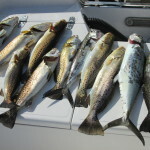 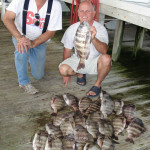 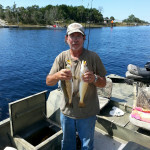 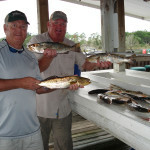 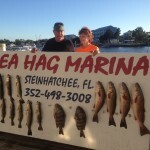 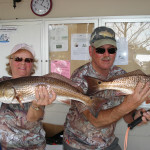 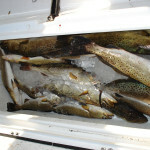 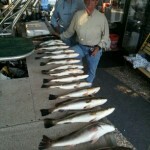 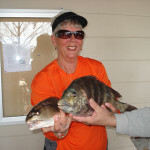 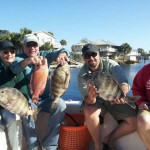 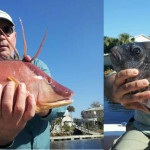 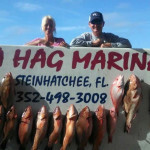 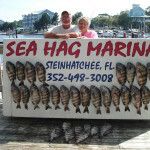 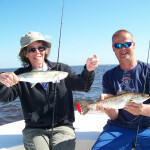 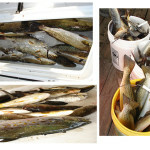 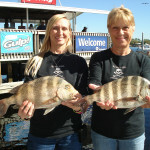 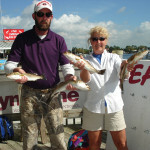 Bill and Sheila Rees with a mixed board of redfish, trout and sheepshead caught in a creek on jigs tipped with Gulp lures. 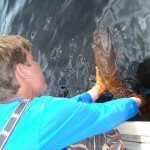 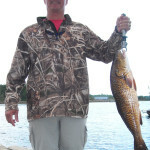 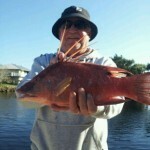 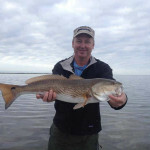 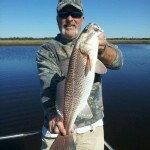 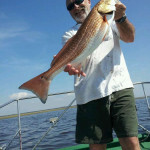 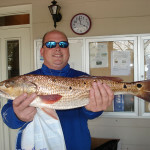 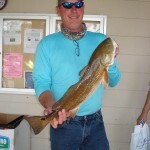 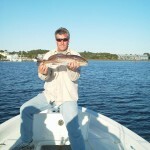 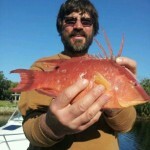 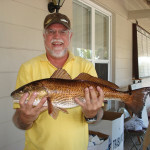 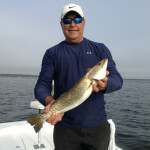 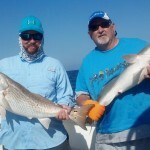 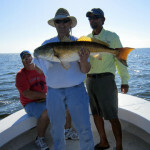 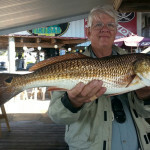 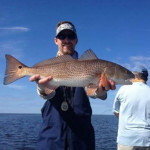 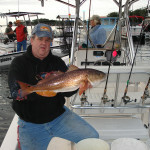 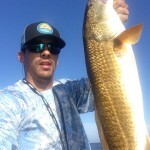 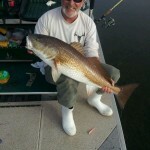 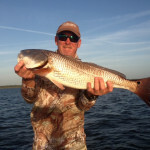 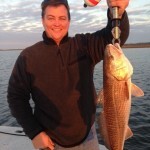 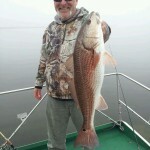 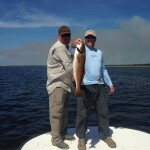 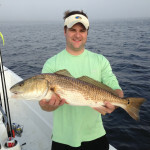 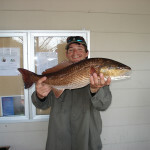 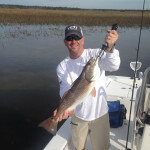 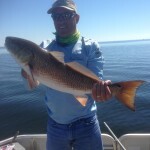 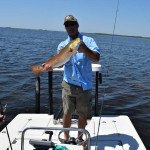 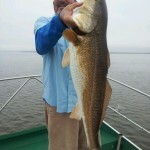 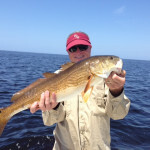 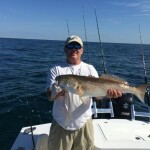 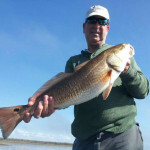 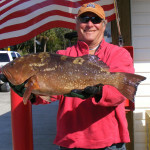 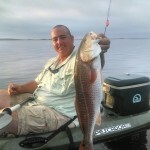 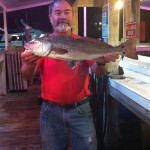 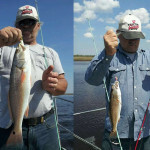 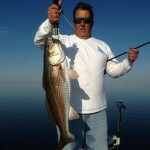 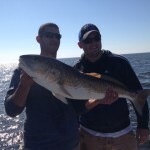 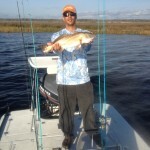 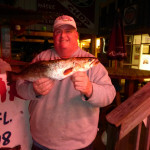 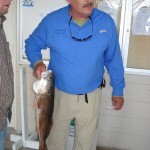 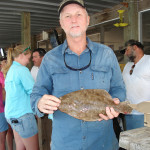 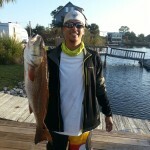 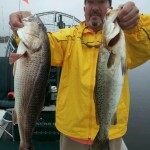 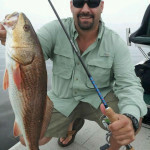 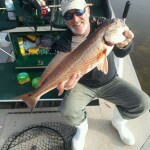 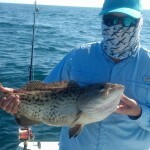 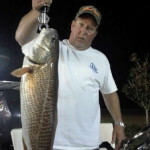 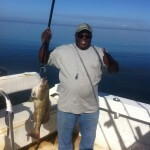 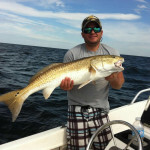 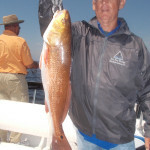 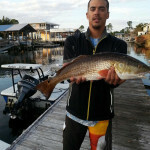 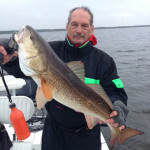 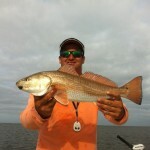 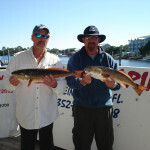 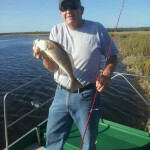 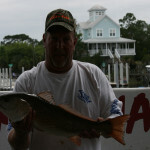 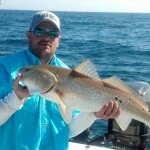 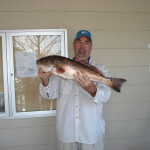 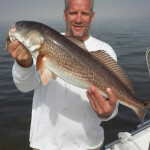 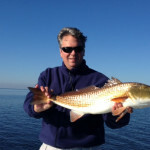 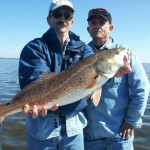 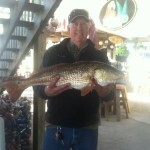 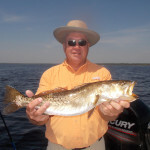 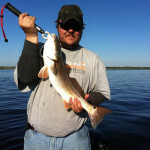 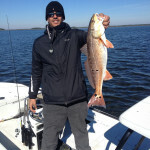 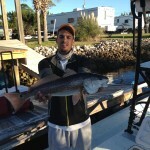 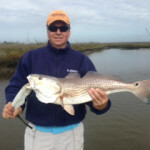 Manny Altman, owner of Tailin’ Toads Apparel with a beautiful redfish. 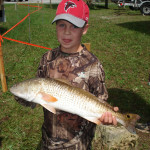 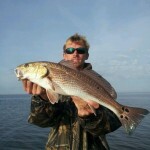 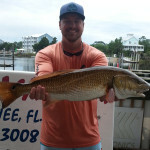 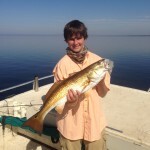 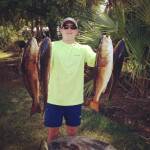 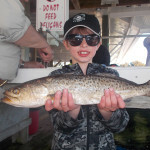 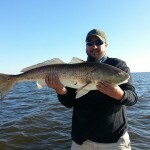 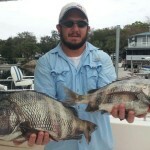 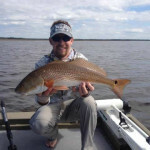 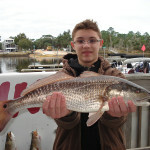 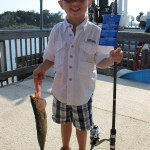 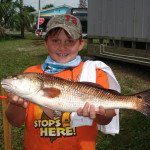 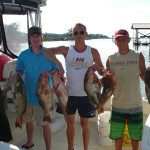 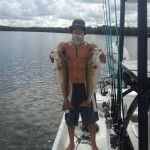 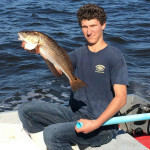 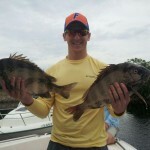 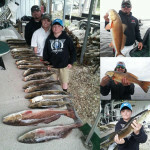 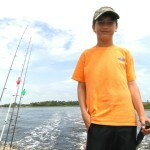 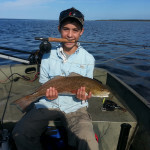 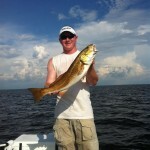 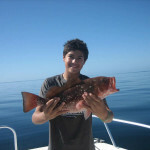 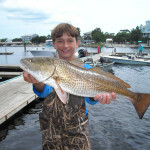 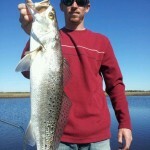 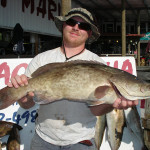 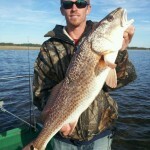 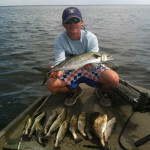 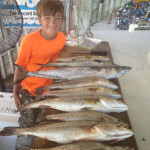 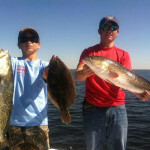 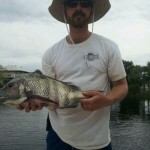 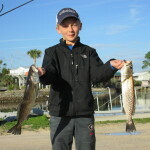 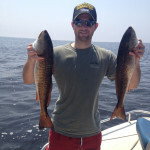 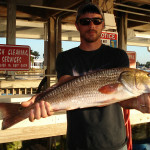 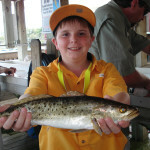 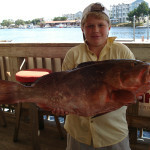 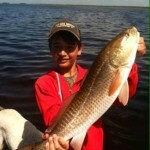 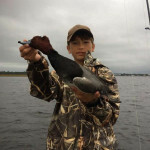 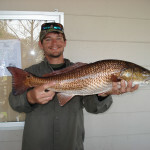 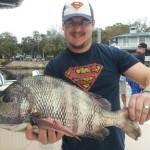 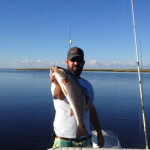 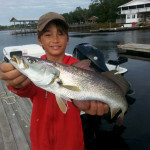 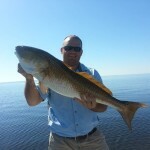 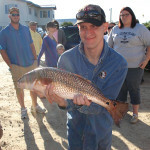 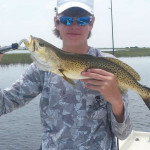 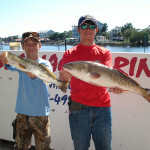 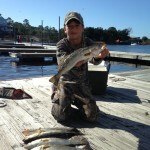 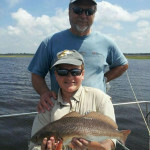 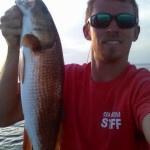 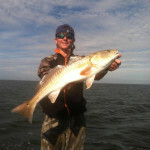 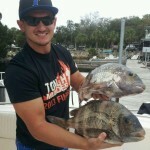 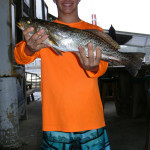 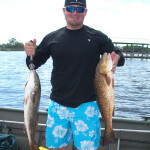 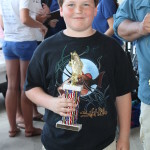 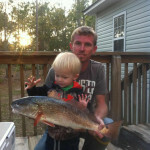 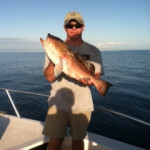 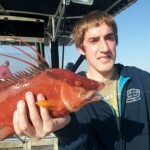 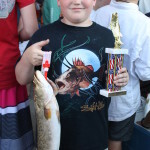 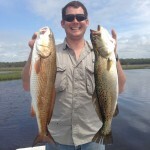 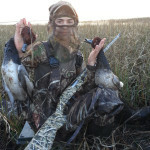 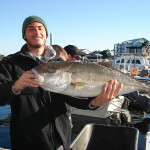 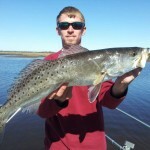 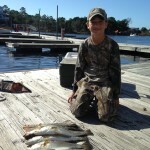 Zac Knight with an excellent redfish caught north of the river. 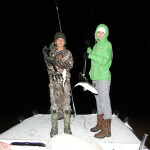 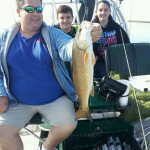 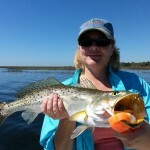 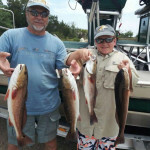 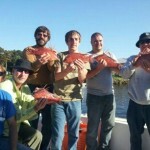 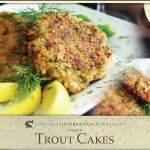 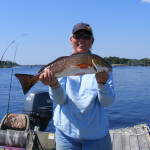 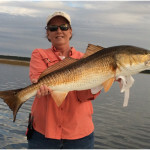 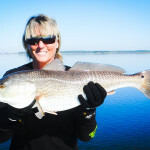 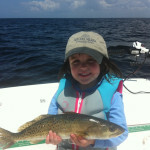 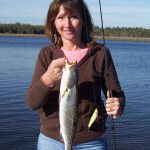 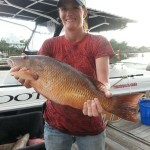 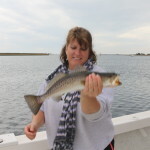 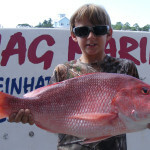 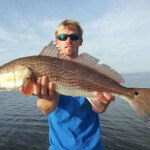 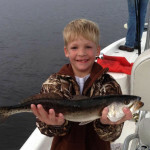 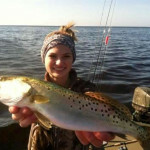 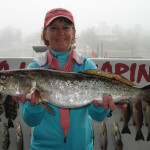 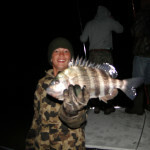 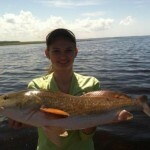 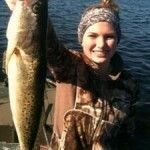 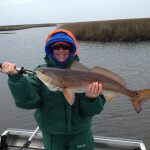 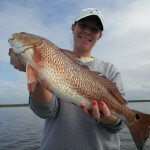 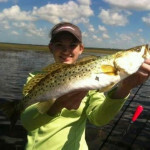 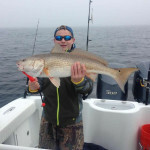 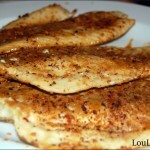 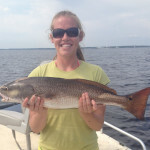 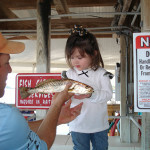 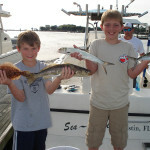 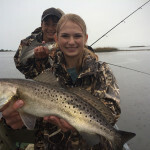 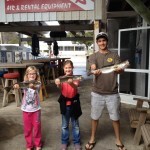 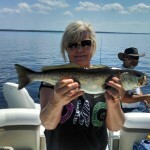 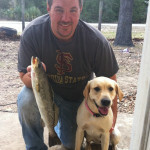 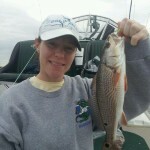 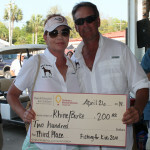 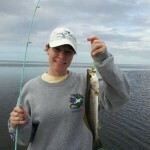 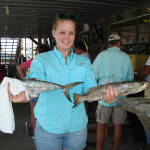 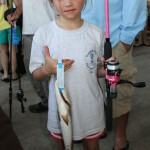 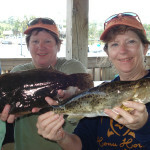 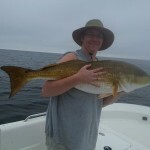 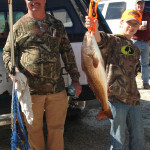 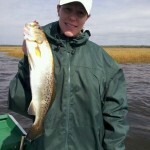 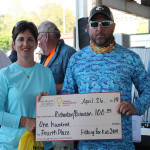 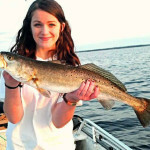 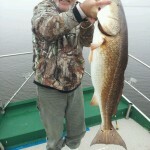 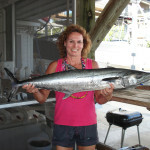 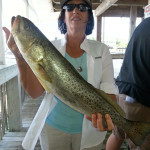 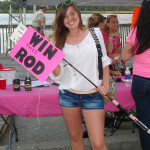 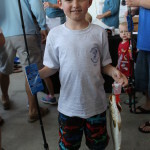 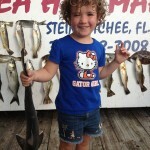 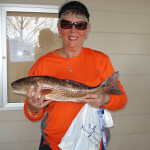 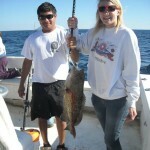 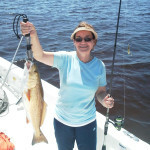 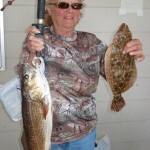 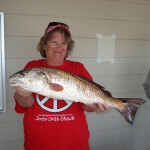 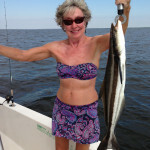 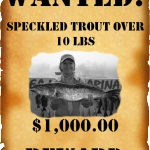 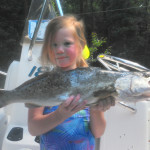 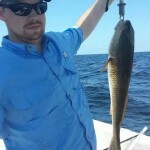 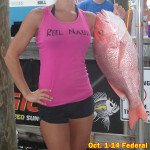 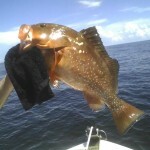 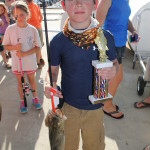 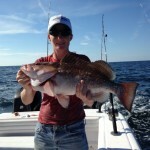 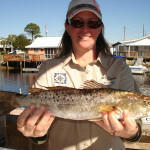 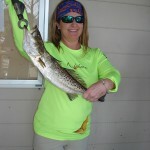 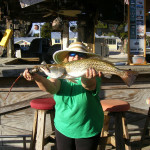 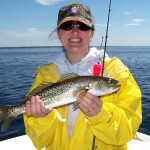 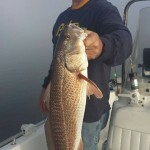 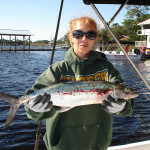 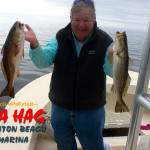 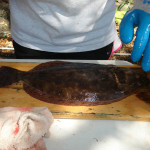 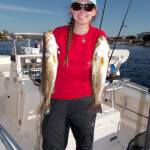 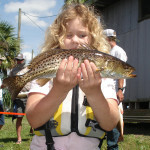 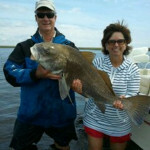 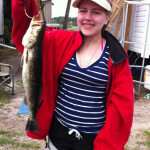 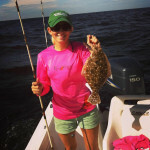 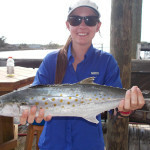 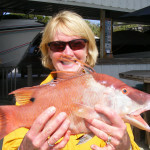 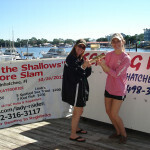 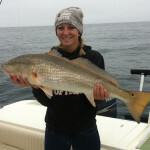 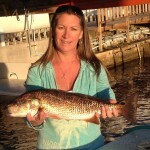 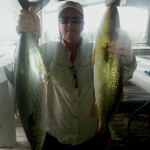 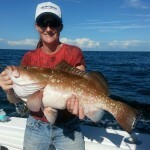 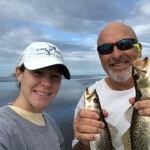 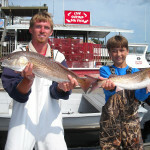 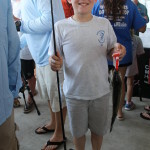 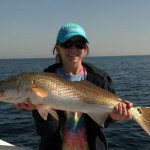 Mom Tabatha Knight also found this great redfish.